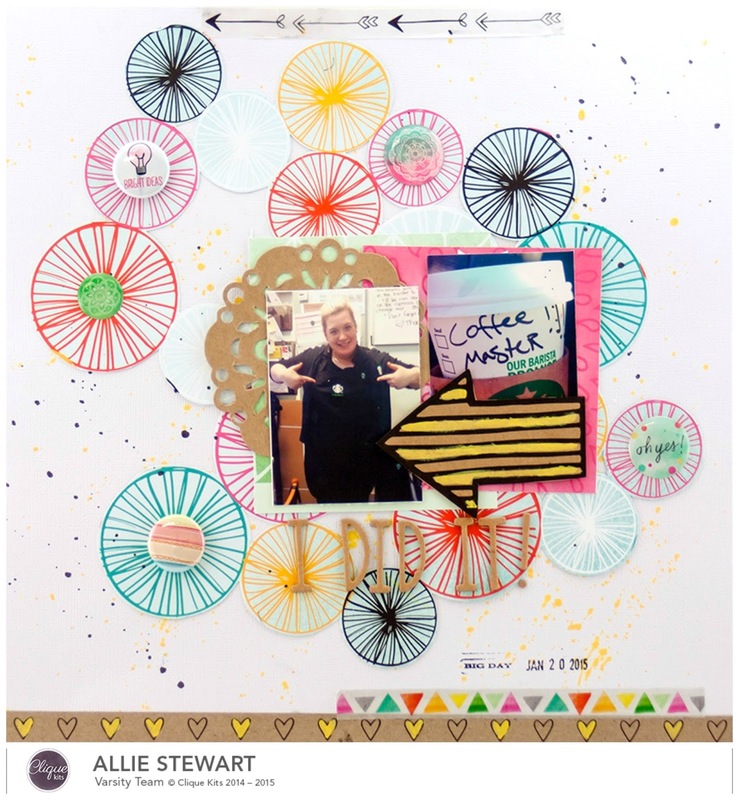 Magical Messes: Fun Times and May Clique Kits Wrap Up! I can't believe it's June already! 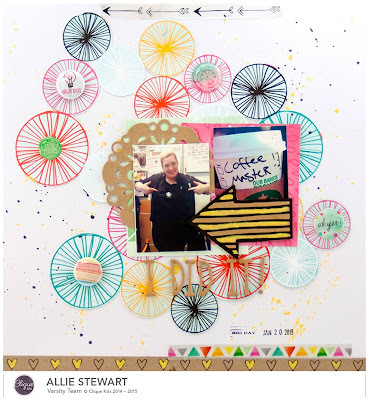 I have a layout to share using items from the May Dream Quest kit from Clique Kits. The colors and theme are so different from what I usually gravitate towards, so it was nice to mix it up a bit! I actually ended up buying most of this collection for my birthday since I like it so much! 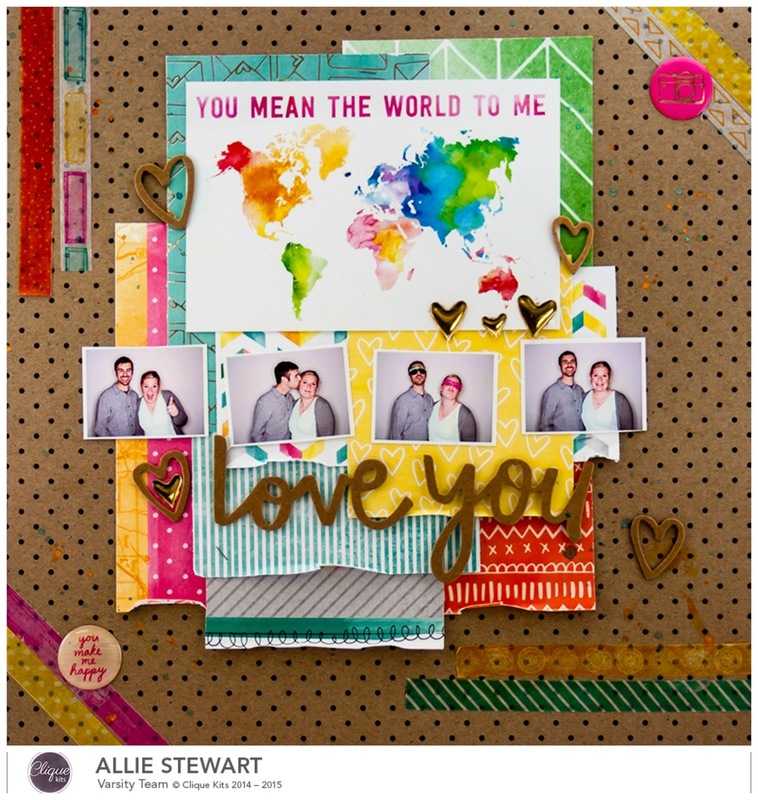 For this layout, I cut up the tags sheet from the Crate Paper Journey collection. 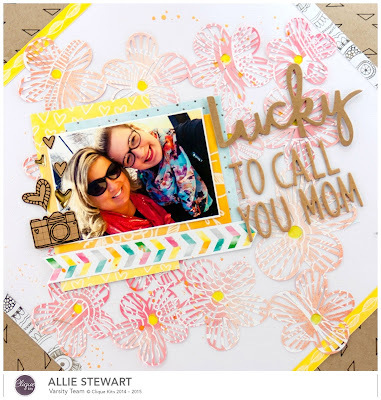 I layered the tags on the top half of my page, and then added my photo on the lower half, with a few more patterned papers to tie it all in. I don't normally use string on my pages, but I thought "why the heck not?"! 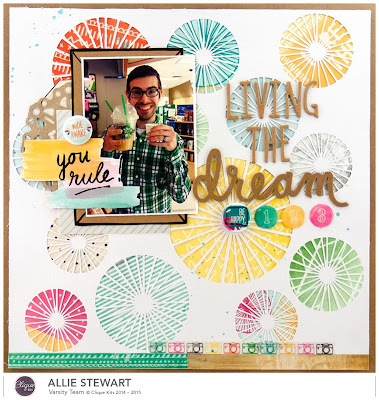 I also made a fun card with this kit! Since May is over, I thought I'd wrap up the May kit and once again share the projects I created with it. 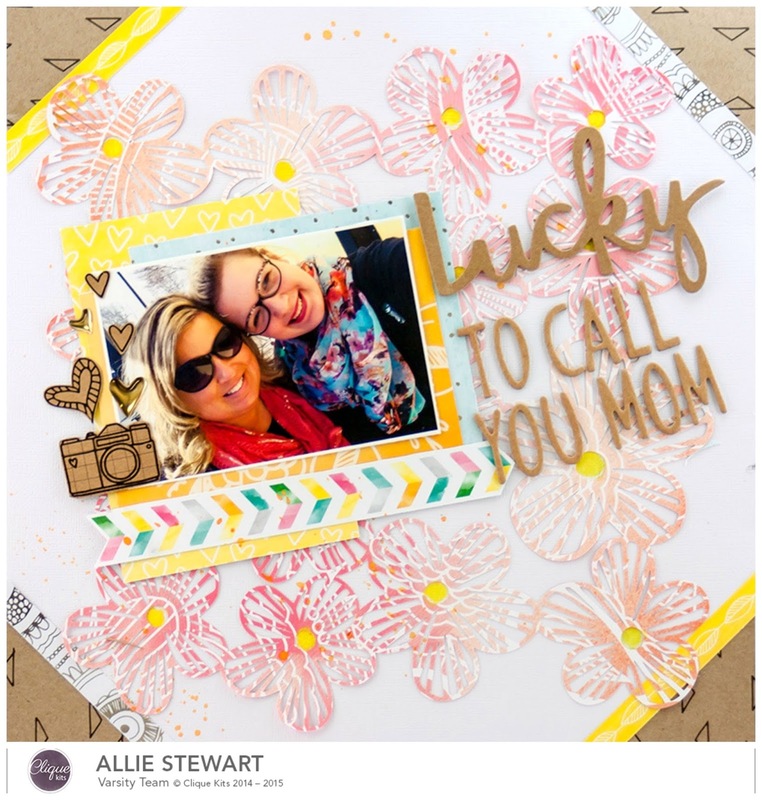 I had so much fun with the Amy Tangerine Rise & Shine collection included! Here's to another fabulous month! 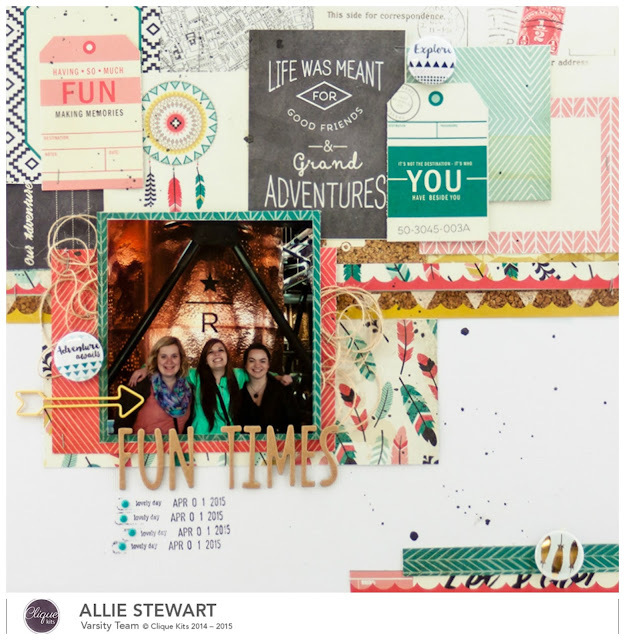 Love the way you cut that paper and used it on the layout Allie! 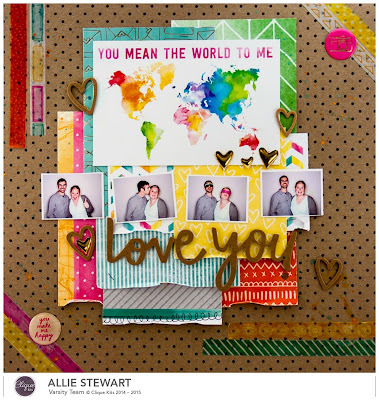 And you're not alone...I never get anything straight on my layouts! HA! And all of your May layouts are completely awesome!